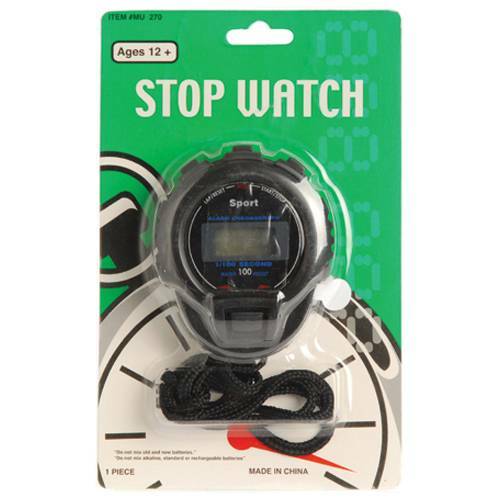 Use this stop watch for any sport event or occasion where you need to keep time. 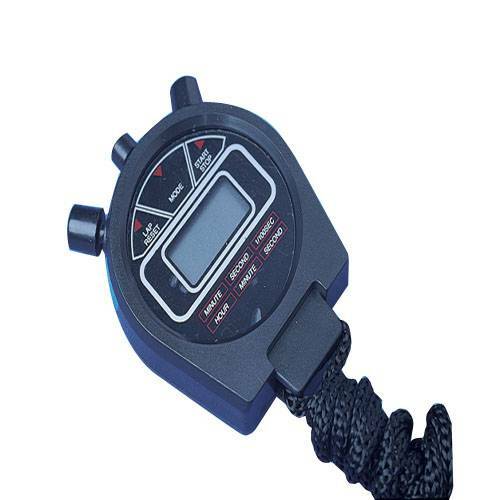 Professional quartz timer. 1 cell battery included. Size 2½" Diam with a 15" black cloth cord.